Every so often, as a blogger, someone comes along and writes something so almost perfect about an artist or a song, that all you can do is cut and paste and it and attribute it to them. In the case of this posting, it’s happened not once, but twice. Like most bloggers, most days (with the possible exception of public holidays but even then…), I find numerous emails in my inbox, politely begging me to check out another act. Here is another example of when this didn’t simply get added to the pile to work through (or deleted because I got a follow up email). Wowser Bowser hail from Atlanta. Consisting of George Pettis (vocals, keyboards & synths, drum programming, and arrangements), Jake Thomson (vocals, keyboards & synths, guitar, live drums, drum programming, arrangements) and Joe Crabb (trumpet and background vocals), they meld the best bits of 21st century experimentalism with a 1980s pop sensibility. Once upon a time, this music might have seemed out of place – but in a world where Gotye’s ‘Somebody That I Used To Know’ can become a worldwide no.1 hit (deservedly so), and people can open up their minds to stuff (hopefully without the hipsters trying to confuse us over what we can and can’t like this week), their time could well be now. I hope so. 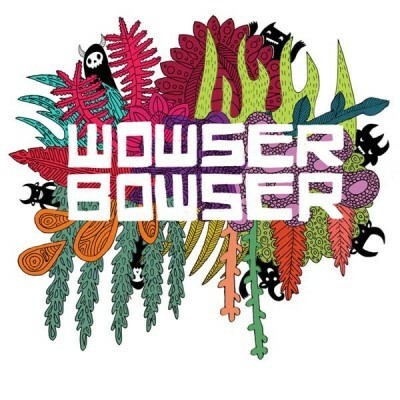 I know precious little about Wowser Bowser. I have no idea whether they are trending on twitter, being pitched on Pitchfork or spun in the offices of Spin. * I care not, particularly. But I do want you to check them out! * or bering dissed at DiS, for that matter. …and this time, it’s Liars! 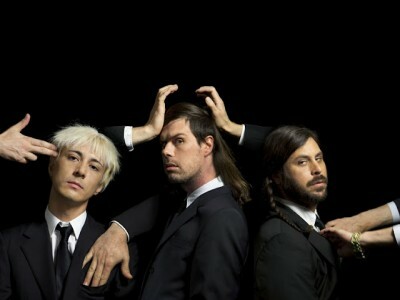 Liars are shortly to release their sixth album. Entitled WIXIW – it’s pronounced ‘wish you’ the album arrived at 17 Seconds Towers a few days ago. Much appreciated, long-awaited, and very very good. ‘No.1 Against the Rush’ is the first single, which will be released at the end of May, on the 28th. Here is the video, which rates up there with Spiritualized’s recent ‘Hey Jane’ as one of the ebst and most disturbing videos you will see this year. Don’t assume on first listen that they have suddenly gone coffee table-electronica. Believe me, they haven’t. I was blown away by The Very Best’s debut album Warm Heart Of Africa, back in 2009. Initially very impressed with the couple of tracks I had heard, the end of the year saw them get no.3 album in my end of year list, and two entries in the Festive Fifty. So yes, I was showing them some serious love round these parts back then. They are now back with their sophomore album MTMTMK, which is out in July on Moshi Moshi. 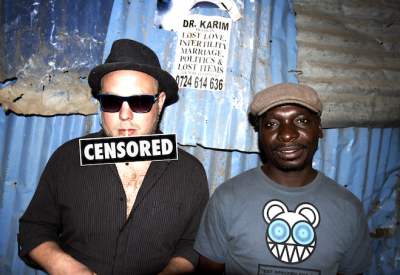 Etienne Trot has left the group, so they are now a duo, Malawian singer Esau Mwamwaya and London-based Swedish producer Johan Hugo. The Warm Heart of Africa featured appearances from M.I.A. and Vampire Weekend’s Ezra Koenig, this album features appearances from Amadou & Mariam, Baaba Maal and K’naan amongst others. Johnny Lynch, part of the famous Fence Collective, and better known as The Pictish Trail ,has come up with an interesting idea for his new single. Entitled ‘Of Course You Exist’, it is a physical release…of a sort. Not for our man, vinyl, CDs or even a limited cassette of 100. Instead, both versions are sewn into the seams of a sweatshirt and t-shirt as two separate download bundles. 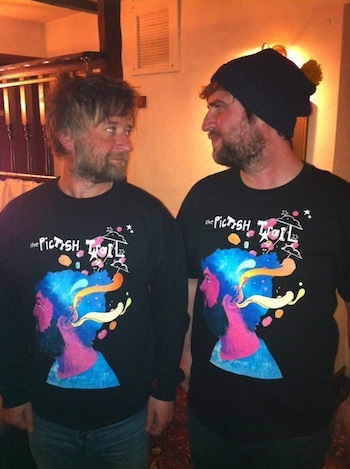 Check out Johnny and Kenny Anderson AKA King Creosote modelling them above! There is a new EP out in July, and a tour and album to follow later in the year. Enjoy the track above for now! Buy the t-shirts here and here from the Fence website. The phrase ‘Age Of Consent’ has two high-ranking precedents in terms of electronic pop music. It is, of course both the opening track on New Order’s Power, Corruption and Lies LP and the title of Bronski Beat’s first LP. It is also the name that the rather fine duo of Joe Reeves and Darren Cullen record under. After meeting at Glasgow School of Art they moved to London, where they work together and also remix for the likes of Gary Numan and La Roux. It’s awesome brooding electronic music that owes as much to Prince circa Parade as to New Order and Soft Cell. Cery dark, and very fine indeed. The hardest working man in music releases his first solo album. Though he’s seemingly never been short of projects to work on, with the main day job of the White Stripes having called time last year, it’s fair to say that there’s a fair amount of expectation awaiting this album. Having not been as swayed by his work as a member of the Raconteurs or Dead Weather compared to how much I rated his work with the White Stripes, I must admit to sitting down to listen to this album with some trepidation, but that soon faded away. 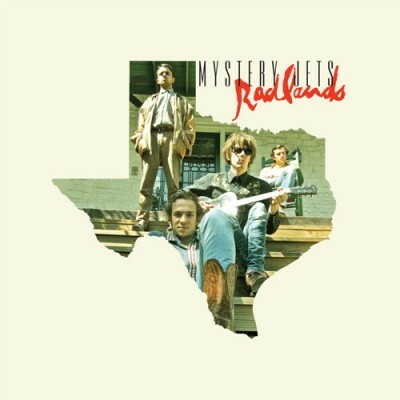 The reality is that this is a strong, very fine album. By now you’ve doubtless heard ‘Sixteen Saltines’ – a good introduction to the album – but it’s great to find that the other twelve tracks are not simply carbon copies. In fact, having relocated from Detroit to Nashville seems to have resulted in our hero making an album that mixes his signature take on the blues with country and soul. It isn’t genre-defining or denying album, but it is most definitely the sound of someone showing us what he is capable of. Yet again. In all seriousness, my favourite of his records since Elephant. Yes, that good. 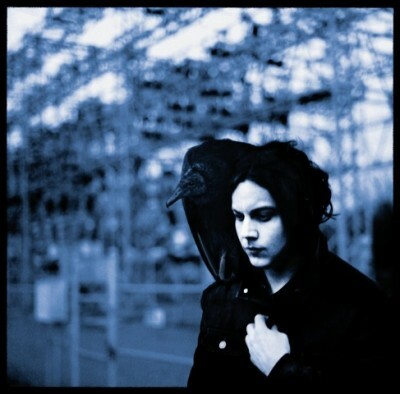 Blunderbuss is released by Third Man/XL on April 23. 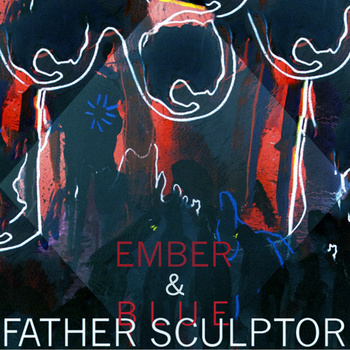 Scottish band Father Sculptor have just released their debut single this week as a free download. Now, I say free download -which is lovely because it’s always nice to be able to get stuff for free. But the reality is that this two track single ‘Ember’/’Blue’ is so gorgeous and so utterly wonderful that I would have been prepared to pay money for it. It’s thanks to JC over at The Vinyl Villain that I picked up on it. He says they remind him of Sire-era James (i.e. Stutter and Stripmining LPs) and also one of the great Scottish lost bands, Geneva. I couldn’t agree more – there is something wonderful and exciting about their melancholic, ethereal rock, that isn’t shoegazing (not that there’s anything wrong with that) that makes me want to play these two tracks again and again. I can’t seem to find out much more about them other than that they hail from Glasgow. So for all I know they could be sixty-something convicts or a bunch of rich teenagers who have made this with Mummy and Daddy’s chequebook. It’s irrelevant, really. Take this at face value and take it to your hearts. They’re getting some great press across the blogs and it’s ebtirely deserved. These are two earlier tracks from their bandcamp page. They only played their first gig in February (supporting the hotly-tipped Spector) and are playing Edinburgh’s Electric Circus on May 24 and Glasgow’s 02 ABC on May 31. Tomorrow (Saturday April 21) marks the now annual Record Store Day. In a lot of ways, I think it’s fantastic -I like the fact that bands are putting things out onto vinyl, that vinyl is still being made and bought by people this far into the twenty-first century, and that while some of the big stores have gone, that there are still independents hanging in there, and in quite a few cases, flourishing. Firstly, that the real success is whether people are inspired to go and buy records, CDs or whatever in record shops on the 364 days of the year that aren’t Record Store Day. It’s going to be up to stores to encourage people to want to come back, but also up to customers who like the idea of actual, y’know, physical shops (as opposed to online retailers) to go and buy them. Secondly, whilst it’s wonderful that stuff is being produced physically, if it’s made too expensive it will put people off (though to be honest, if someone wants to pay £150 for a vinyl boxset of Disturbed albums that’s their call). I was excited by the thought of The re-issued Cure albums, but at £25 a go for the first five albums on vinyl (which I already own)…sorry, but the mortgage needs paying, there’s food to be bought and us poor public sector workers aren’t all on massive incomes. Also if it gets flogged on ebay by greedy sods who are trying to make a fast buck – you are no better than ticket touts. Thirdly, the music business has been its’ own worst enemy for years. The pricing of CDs when they first appeared in the 1980s was ludicrous: they were more than vinyl or cassettes, and at one point double. Ironically it is far more likely that a new release CD in 2012 will cost you less than it did it 1987. The thing was that it lead to people buying abroad if they could get it cheaper, and then online, with the result that the shops were priced out. Certainly, online retailers had their advantages -but the tax loopholes were closed in a classic horse gate bolted kind of move. in the window there gives me far more of a thrill than seeing them on iTunes ever could. Independent Record stores -like good independent book shops-should have staff who know what they are on about. Sorry, but the ‘other customers who bought this also bought’ feature is not the same as a personal recommendation. Not when your taste stretch from Schubert to Slayer like mine do. But bring it on. Great that five years down the line there are still record stores with open doors to celebrate, even if for some artists and their big record companies it will be another marketing ploy, without any of the artists needing to die (and invoke the scenario set out in The Smiths’ ‘Paint A Vulgar Picture’). Stuff needs to be happening right the way through the year. People making the effort to go to the shops (I realise easier in a big town or city than a small market town, where the chances are that since Woolworths went bust you can only buy what’s on offer in the supermarket). Record shops staff not being arsey, though the customer may not always be right.